Brand new from Acme Archives and Dark Ink Art, this was a fun image to work on. 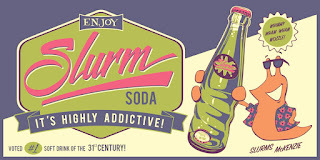 Taking the classic Slurm soda from Futurama and creating a vintage tin sign for it. 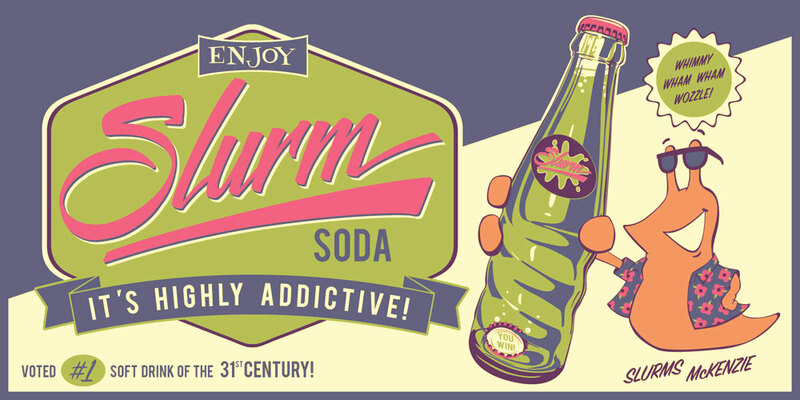 This is officially licensed through 20th Century Fox and measures 24 by 12 inches, silk screen print with 5 colors. Limited edition and available Friday, February 12.